Your tax dollars at work. Young buffalo inside Yellowstone National Park’s Stephens Creek buffalo trap. Photo by Stephany Seay, Buffalo Field Campaign. Yellowstone National Park continues to capture wild buffalo inside their Stephens Creek buffalo trap, located in the Gardiner Basin. 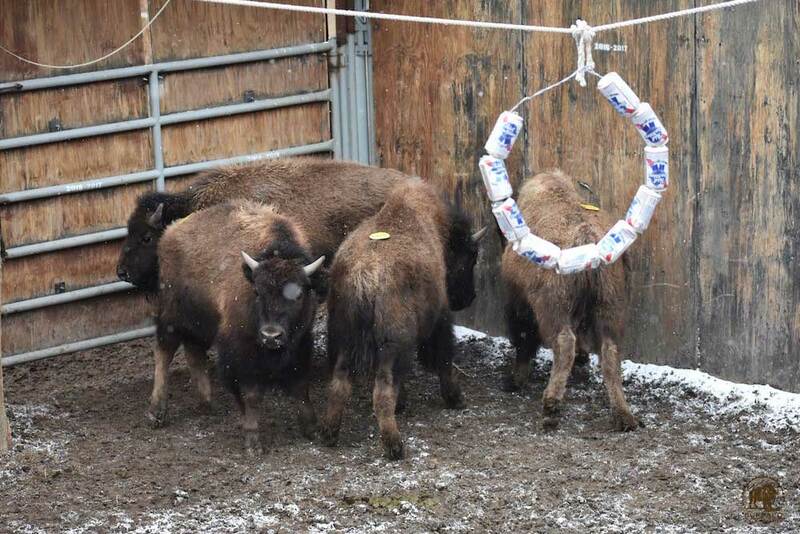 As of this writing, approximately 160 of the country’s last wild buffalo have been trapped, and of those, approximately 150 have been shipped to slaughter so far, and others are being held to serve as quarantine (domestication) subjects. When we inquired about how long Yellowstone intended to keep their trap open, they stated that they would continue to capture and ship to slaughter through the end of March. Right now, buffalo calving season is just a few weeks away. Please continue to put pressure on Yellowstone by calling and emailing Superintendent Cam Sholly (phone) (307) 344-2002 / (email) Yell_Superintendent@nps.gov and express your objection to this malicious treatment of the country’s National Mammal, the sacred buffalo. Hunters have been taking every opportunity with this late-starting migration as well. At least 65 buffalo have been killed by hunters, most of them at the infamous Beattie Gulch, a bottleneck migration corridor right at Yellowstone’s north boundary, where buffalo hardly stand a chance of getting away. Most of the hunting should have ended by now, but some hunting seasons have been extended in order to take advantage now that buffalo have finally started to migrate. Here in the Hebgen Basin, west of Yellowstone’s boundary, there are still no buffalo migrating into Montana. In the last two years the Interagency Bison Management plan (IBMP) has killed almost 1,200 bison in 2018 and 1,300 in 2017. That is about a quarter of the entire Yellowstone herd each year. All agencies involved in the slaughter know full well how unique and genetically important these bison are to the world. Of the two herds in Yellowstone, the Central herd now numbers fewer than 1,000 (down from 3,500 in 2005), which is a direct result of this management plan. What would Montanans do if elk were treated this way? All the focus of “disease management” is on the bison, who have never transmitted brucellosis, yet elk who have been blamed for giving brucellosis back to cows roam free. This disease was brought here and transmitted to our wildlife by cattle. It is time to do what is right for the bison and treat them like we treat all other wildlife in Montana. Millions of acres of habitat have been opened up for elk in what the IBMP call’s the brucellosis Designated Surveillance Area, where cattle must be more thoroughly tested. This land is open to elk, but why not buffalo? It is time Montana wakes up and stops this insane practice towards bison. 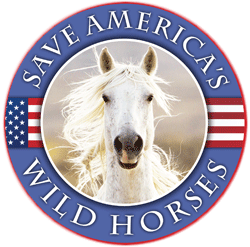 The world is watching and is fed up with Montana’s use of tax dollars to kill our National Mammal, a sacred, keystone species and an American icon. Thank you for this article. It seems all these folks care about is money. They dont care if there is a future for wildlife, Extinction is A-OK. Ecology, science and/or the environment are not important to them. They cant see past their wallets, because this is all about making a monetary profit. Next in line are the indiscriminate, immoral type hunter. Taking opportunistic advantage of a state sponsored slaughter to feed their need for gore. This is an exaggeration? No. I dont think so. Wildlife have not only a God-given right to exist and we have a need to preserve wildlife and to preserve our ecosystems. Those poor youngsters in that pen – huddled together – they look so scared & one of them must have scraped his forehead or had it scraped. The picture of the animals that are doing what they naturally would do – migrate – only to be slaughtered. Dont know how anyone could call themselves hunters in that kind of shooting gallery! 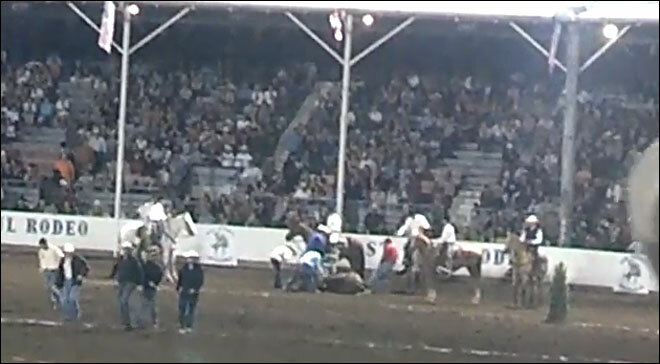 Looks to me like a spot on the camera lens, not a scrape. It does seem to be lightly raining or snowing. It isn’t clear from the article but seems to be true that even these young calves are being sent to slaughter? What a colossal waste all around for our society. Yeah – I think youre right – enlarged the picture – looks like a spot on the lens. But as for being terrified? 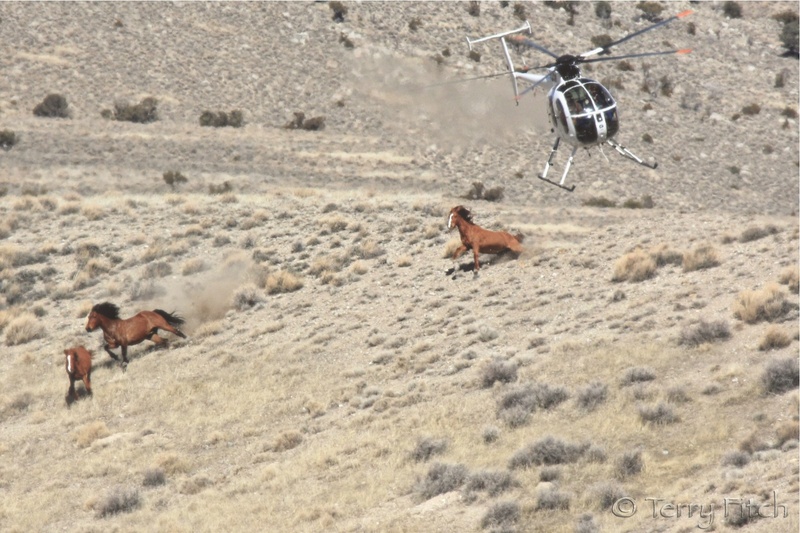 No different from our wild horse’s foals after separation from their folks. What the hell?! I sent the Super an email. Thank you for making me aware. Is your herd health protocol as good as everyone elses? Disease prevention via a thorough vaccination program is the foundation of good health. The vaccine isn’t 100% effective, and the GYA is a significant reservoir for the bacteria in wild populations. The tragedy is it was introduced into wildlife species by introduced cattle long ago and they reinfect domestic animals. Our management of elk by concentrating and feeding large numbers in winter is a recipe for more trouble (read the work of Bruce Smith). Management is complicated, but it’s worth noting that brucellosis is a “one health” concern, since humans and other species (including horses — and by definition wild horses), raising the stakes. It looks once again like a human-origin problem for which all other species are put at risk, and some demonized. Feral hogs are also carriers, and expanding exponentially across our continent, which isn’t getting public opinion backlash of equivalent scale, but should. MAPS AND HOW WE GOT HERE (hogs will be likely be spreading into wild horse HMAs, especially as climate changes shift temperatures and shorten winters). “I’d bet you dollars to doughnuts that most of those hog populations are descended from hogs intentionally released by hunting outfitters. 2002, 48 States have achieved brucellosis-free status with no known infection. shot at the border by Park Service, State of Montana personnel, or licensed hunters. maintain a viable bison herd. YNP. This plan is a bison management plan, not a brucellosis elimination plan. withers) in horses in Wyoming. Essentially, the buffalo in Yellowstone are vaccinating themselves for brucellosis, developing an immune response, and clearing the bacteria. There isn’t a single a documented case of brucellosis transmission between buffalo and domestic cattle under natural conditions; ever! Maybe true — but look at all the links I provided, all are gov’t. sources which means that is the “official party line” regardless of science or field evidence provided by others. Not saying I agree or disagree, but wanted to post that info after researching the efficacy of the vaccines. Like so many other wildlife management matters, what our government is doing often seems at odds with reality, morality, or practicality. Feral hogs seem to be a much larger (and increasing) problem (including capacity to spread brucellosis) but it seems elk and bison are easier targets. IcySpots, it seems that government agencies would still have to provide documented proof. That’s where the public has to make noise and they have to keep on it. They always hope we will just give up and go away. It’s been interesting watching the senate hearings on C-Span…a lot of VERY tired legislators who are definitely hearing from their constituents. Furthermore, the study’s authors write that buffalo and elk aren’t “sympatric,” or don’t mingle, in the wild. Transmission may happen inside Yellowstone, but probably only because the species are kept in artificially close quarters. As the study’s authors put it: “Any possible role for bison as a reservoir [of brucellosis] may only be relevant at small geographic scales.” Confining bison inside the park lowers the risk that they’ll spread brucellosis to cows directly—but, ironically, that very policy may increase the risk that they’ll infect elk, who spread the disease outside the park. I first heard the accusation that brucellosis is a cover for concerns about grazing and land use from Stephany Seay, a volunteer with the Buffalo Field Campaign (BFC), whose volunteers embed with Yellowstone’s roving buffalo the way journalists will with platoons in a combat zone. From Seay’s perspective, the quota of buffalo is far less than what the park can sustain, and the aggressive push to cull the herd suits the cattle industry. Ultimately, Wallen says, if the buffalo are going to thrive, they’ll have to be allowed to migrate outside the park. And that’s another way people can make a difference, if they want more buffalo: by letting officials know they’re willing to tolerate the risks. Something interesting…notice how many “acting” administrative positions are on this list. Hasn’t it been established that an acting director, etc. has no legal/administrative authority? Could it be that with “acting” directors – no need for congress confirmation?